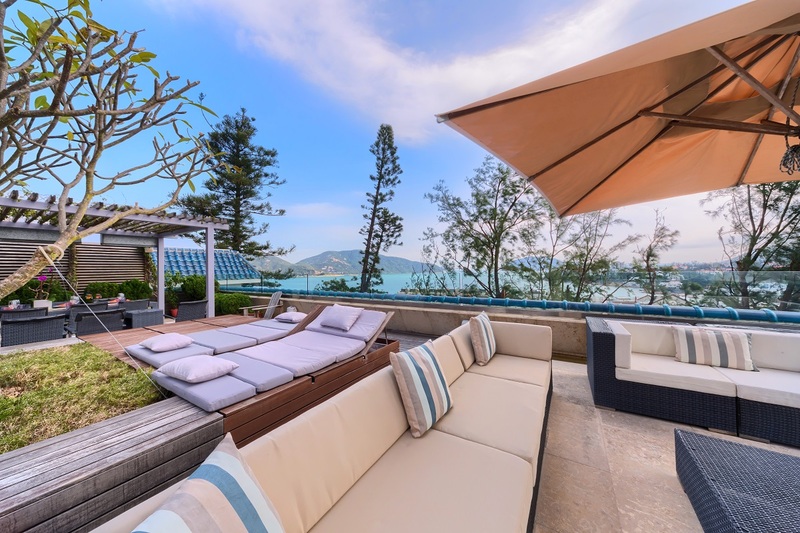 Enjoy the breathtaking green and full sea views while hosting outdoor parties and gatherings from this Hong Kong Penthouse for sale through Louis Wong from Landscope Christies International Real Estate. 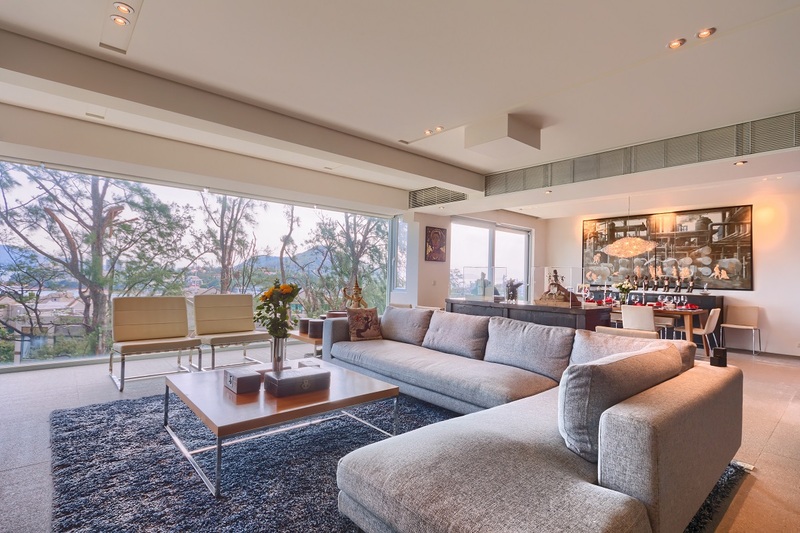 Situated on Stanley Village Road in one of Hong Kong's most exclusive areas lies this penthouse in Grosse Pointe Villa. This residence offers a meticulously designed award- winning home with an oversized private roof terrace. Spanning 2,451 s.f. (saleable area), this house showcases the designer's taste and creativity with colorful furniture and modern interior design. It offers four bedrooms including two ensuites, three bathrooms, a combined living and dining room, 2 balconies and two covered car parks. One of the greatest features is the 2,267 s.f. roof where homeowners can enjoy the breathtaking green and full sea views while hosting outdoor parties and gatherings. This penthouse boasts an efficiency ratio of 82 per cent. The spacious layout allows for creativity and arrangements of furniture and design. For more information including additional photos and property, specifications visit the Landscope Christies International Real Estate website. To make an enquiry or to discuss the luxury Hong Kong property market email Louis Wong from Landscope Christies International Real Estate via the contact details below.